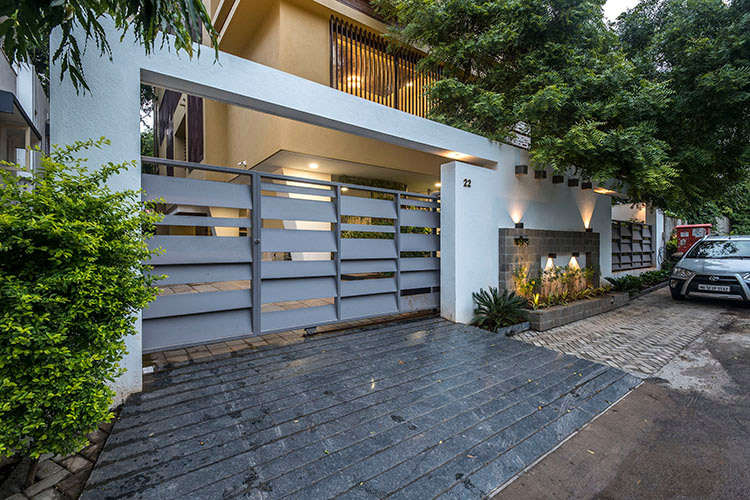 ‘Parees’ is a residence designed for a joint family of Jewelers. 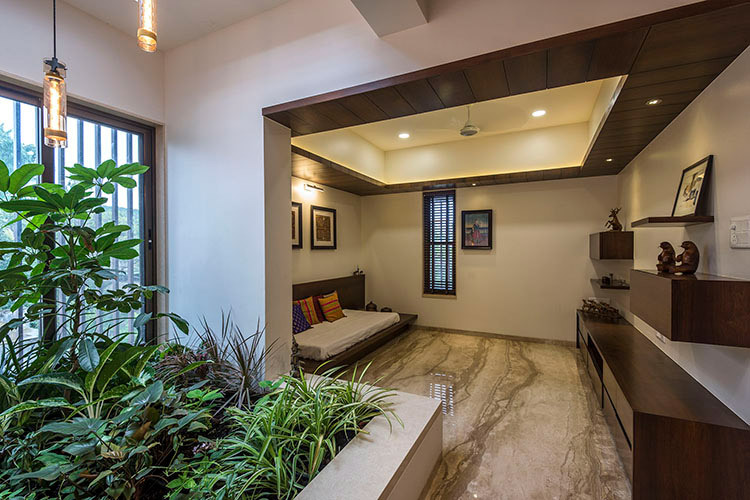 The plot was sloped such that the difference in the level in the front side which was the approach road and the rear side which was a hill was 3.5 m. The bungalow was designed in such a manner that no undue cutting was done. Owing to this, the rear side of the plot remained on a higher ground as compared to the front side. 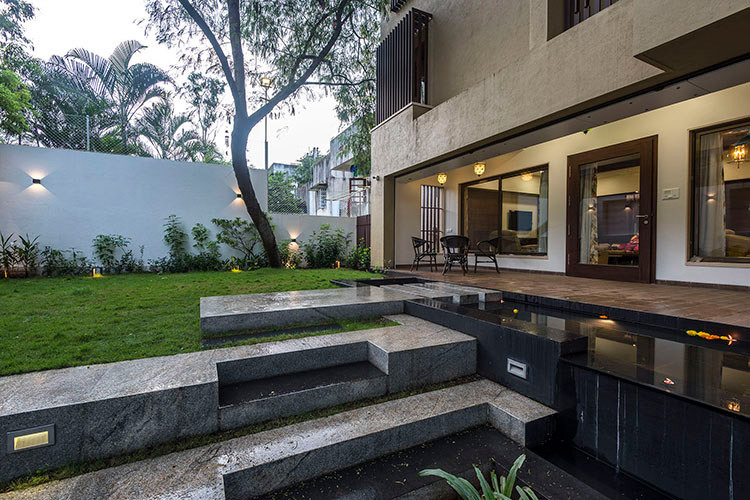 Making use of this dynamics, the bungalow opens out on the rear side which is the designed landscape area. 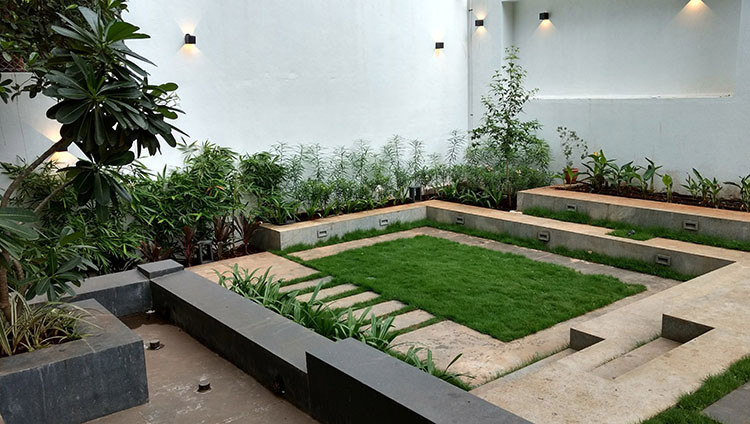 A simple water body, a lawn and an informal amphi theatre make up this area. This is the area where the family entertains and mingles. Being on the rear, this becomes a protected and private area with no physical or visual disturbance from the road side. 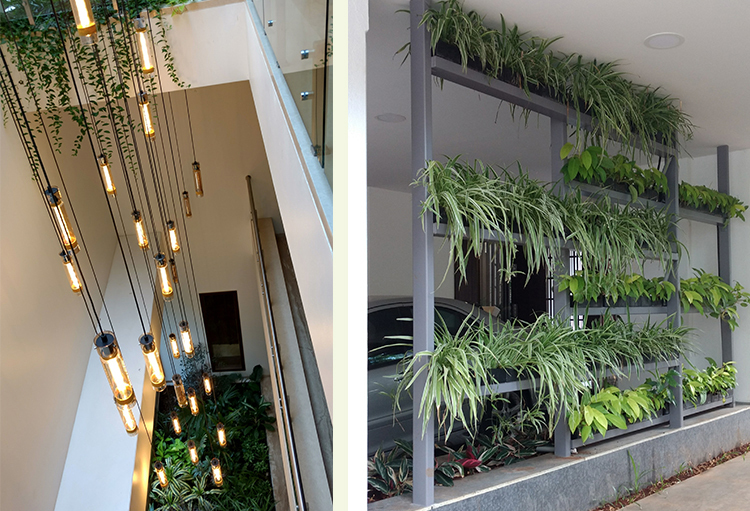 Inside an atrium space binds all the floors together. 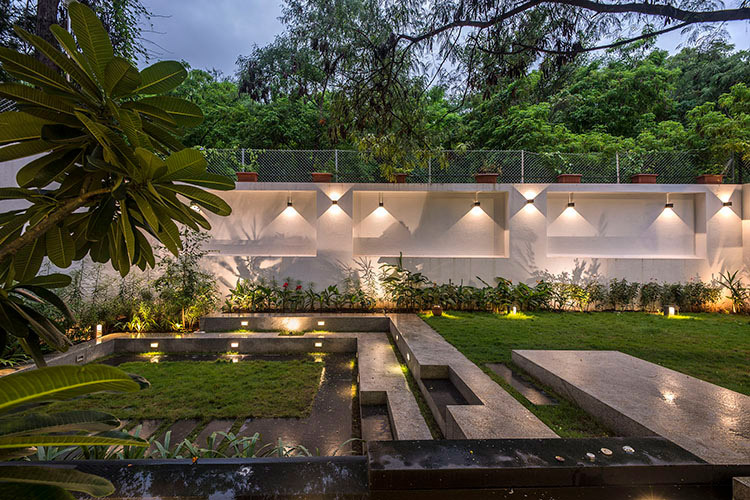 Landscape courts at various levels combine to form a fluid space which is naturally lit. Creepers hand down from these courts adding another dimension to them. 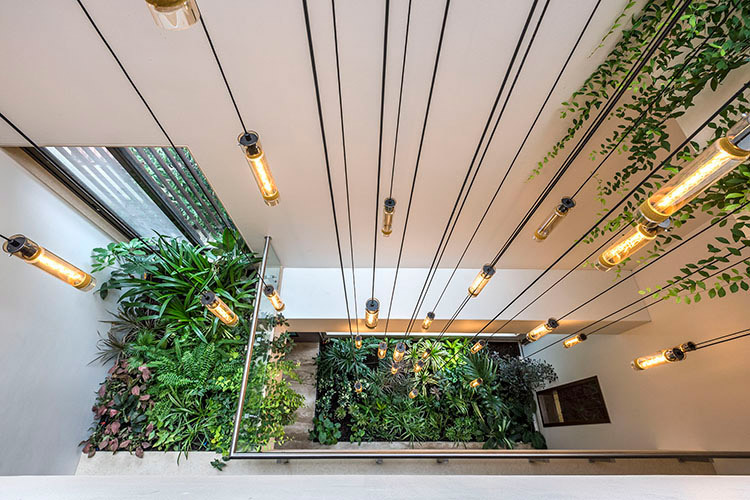 Public areas of the house are arranged around this atrium and derive a diffused light from this space. The spaces are decorated with innumerable artifacts and antiques that the clients have collected over a number of years.